Hi Friends. 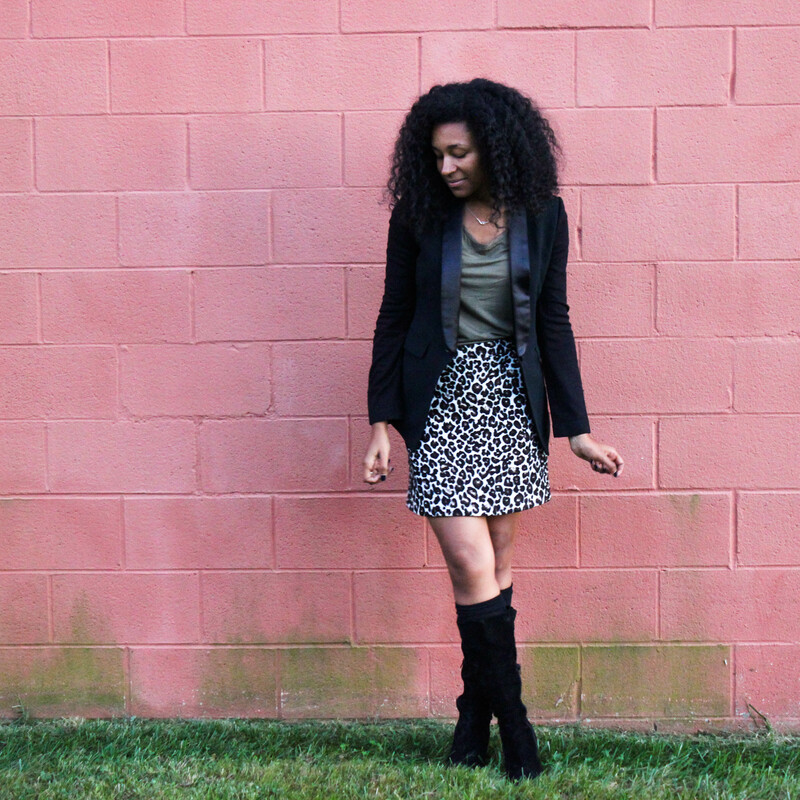 If you saw my Fall Haul, you would recognize this skirt from that video. The first time I wore this skirt was for this photo. It is so soft and comfortable. I love it when I find great items built to last. I went thrifting a few weeks ago and found this super cute blazer. It is a BCBG Tuxedo blazer, the sleeves are knit which is so comfortable. I have been looking for a black blazer for a while. I love how this one is different and will add some texture to an outfit.